Life with God is liberation. 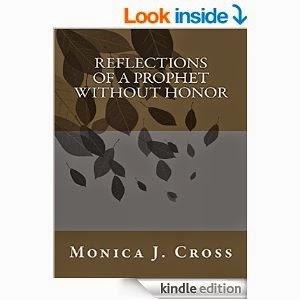 This book of reflections is about life with God. It is about being in the divine presence. These reflections invite the reader into a different way of knowing and experiencing God beyond the religious and sectarian. Each reflection invites the reader to a different sense of wholeness, holiness and sacredness, to engage the heart, mind and soul. So, I finally collected the wisdom learned through my life with God and now they are in a book. The entries are short leaving room for the reader to meditate and write or just make notes on their life with the divine. It is my hope that these reflections are helpful. The overuse and abuse of "context" as a means of affirming privelege or the need to rethink the meaning of "context"
While a discussion on the word context is not new or mind blowing I believe that it is necessary to raise it once more as we engage in the various and multiple transformative issues that define more and more the human experience in the 21st century. For the purposes of the blog context is the set of circumstances, or facts that surround a particular event, situation, etc. Coming from a transgender perspective I find vision to be a vivid, imaginative and provacative conception of the various and dynamic interconnections and interactions that make up life as I know it as a person of the 21st century. There just isn't one part of humanity that can act without another part of humanity reacting or responding. So, at least for me, I find somewhat of a correlation between who I am as a human being and how I see the world around me. That said, I have encountered, from time to time, an argument regarding context and its affect, engagement or interaction typically from a viewpoint of privelege. I find this to be problematic as I engage with various interests of privelege, this concern inclusive of race, who have no claim or responsibility except to ensure the capital and productivity of their particular endeavor within their privelege. In this light context becomes a catch word for "I am only concerned about my slice of the pie and you and your issue don't matter in this context", this mindset becoming a root of many environmental challenges, criminilization as well as foreign policy and social justice disasters. I am of the opinion that the misuse and abuse of the word context necessarily affirms a mindset which promotes, whether intended or not, a denial of value to anything or anyone outside of the limitations imposed by the context. It ensures a particularly limiting vision which engages only that which is seemingly important to the limitations imposed as a matter of context. In this sense discrimination as an implication of context can lead more often than not to blindness. The reader must take note of this word context because it identifies an architecture which has historically been the framework which moderates normative ways of being and colonization. Contextual blindness, a term used in the study of autism, may be of use here in a discussion on context and the blindness that ensues from such an architecture. (Journal of Hammill Institute of Disabilities) The misuse and abuse of context develops an insensitivity to critical realities which may impact the context at any given moment. Realities such as systemic issues, i.e. racism, sexism, poverty, immigration, homophobia, transphobia which may reflect a limited vision rooted in privilege. Context should begin to reflect the oneness of the interconnectedness of human action and interaction and not some type of privelege. Living on a planet with a changing climate, a humanity engaged in the tension of transformation and an emerging economy of globalization there should be a thoughtful discussion on context and what it means particularly within realities of transformation.